← MIY Workshop tools are here! 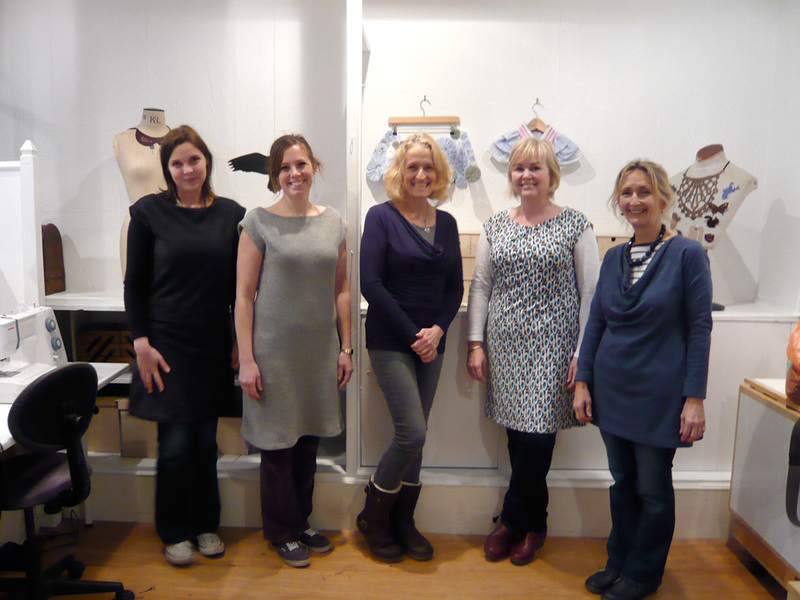 Just wanted to say thank you so much for the Sewing with Knits workshop yesterday. I had built up an irrational fear of knitted fabrics – it seems silly now! I am so pleased with my new top I wore it home and to work today! Here’s a picture of the 5 finished garments – 3 straight neck dresses and 2 cowl neck tops, all made using MIY Collection patterns and all finished on the day! This entry was posted in Full Day Classes, MIY Workshop, Student work and tagged miy collection, MIY Workshop, sewing with knits, student work, Wendy Ward. Bookmark the permalink.